Du kan læse om hendes første tre måneder her og se dem illustreret med billeder. Time flies so fast! I couldn’t believe that now is already 3 months that I have stayed in Denmark. Of course, time will fly so fast if you have fun and I have a lot of fun here. 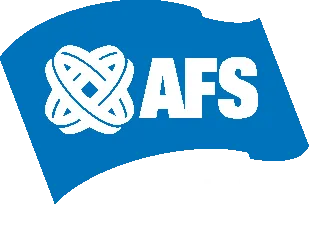 Joining AFS exchange program made me found the place I belong to. 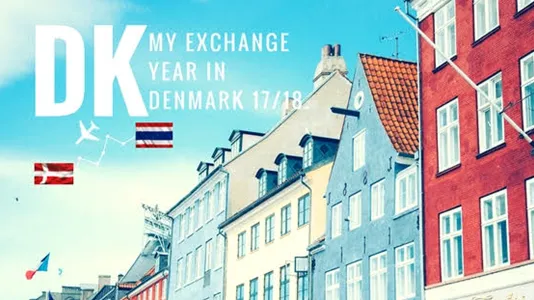 I will stay in Denmark for 1 year, so I need to use every second worthwhile. As you can see that I travelled very far from my home country and the culture is totally different from each other. But that is the main reason why we take our year abroad in another country. I really have an open minded to learn new things and new culture. I’m here for learning, so until now I’ve never had any problems for staying in Denmark or staying with new people. I’m really enjoy it. I live in Frederikshavn, the city in the north of Jutland. I stay with my lovely host family in a lovely house. Now I’m get used to everything in my city, such as how to go to school by bike, how to go into the city centre, how to go to supermarket, or how my daily life will be and now I can fit in everything. I have a lot of good memories and good experiences here that I want to share so it’s very hard for me to write it shortly. The most important thing that make my exchange year full of happiness is my host family. We are 6 people in the family, including my host dad, my host mom, my host sister, my host brother and me (I’m the youngest). They are so sweet and really nice to me. Jeg elsker min familie. In first months, it’s about adapting yourself into new environment such as school. 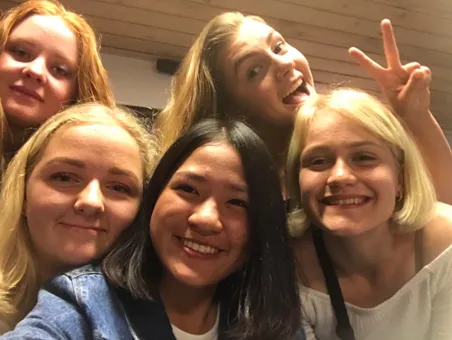 Friends are the second important in our exchange year. Because they will be the people that you spend a lot of time together. 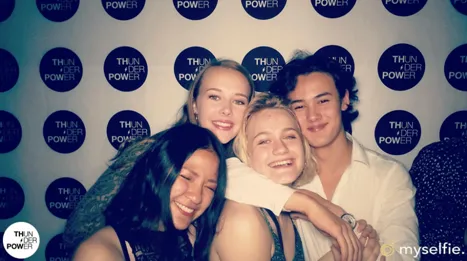 Just in 3 months, I have noticed that I have been to many parties now as we know that Danes love party and that’s really true. I was invited to birthday party for first day I went to school. It’s good because then you can get to know each other faster. And it’s very ‘Hyggeligt’. I’m really enjoy just dancing, talk and have a good time with my friends and my classmate are all very nice to me. 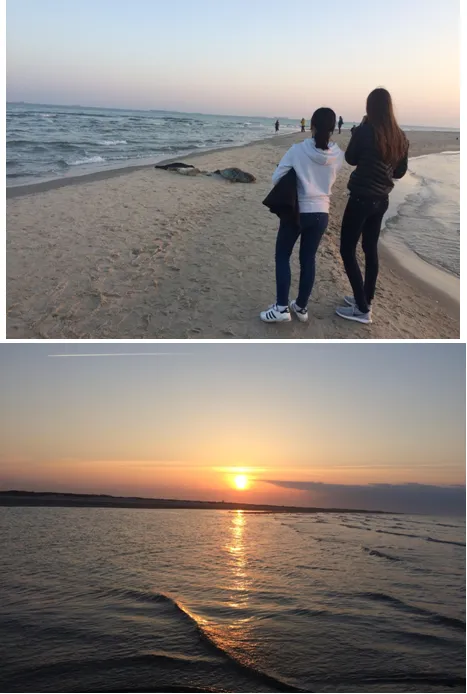 My host family and me went to many interested and beautiful places in Denmark. I really enjoy the nature here and the weather is very cold for me because I always have a warm weather in Thailand. So, if we have a nice sunshine day, we always go out for walk or take a small trip to nearly city. We went to Skagen (Top of Denmark, where the sea from east and west are meeting). 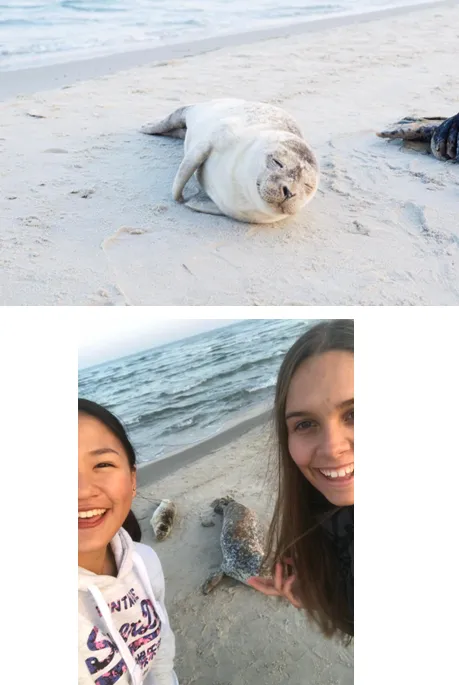 I went there many times but once we met very cute seals and it’s the first time I met them in my life and they’re very close to me. They are so cute and they’re used to with the people. Beautiful sunset before going home, I enjoy every single view of the sky here. The meeting of the sea from east and west coast. I’ve never seen such a amazing thing like this before. Denmark made me have many chances to do many things that I’ve never done before. That’s also ’sailing’. I’ve never sailing before and then I have a chance to go to sailing by my host uncle sailing boat. 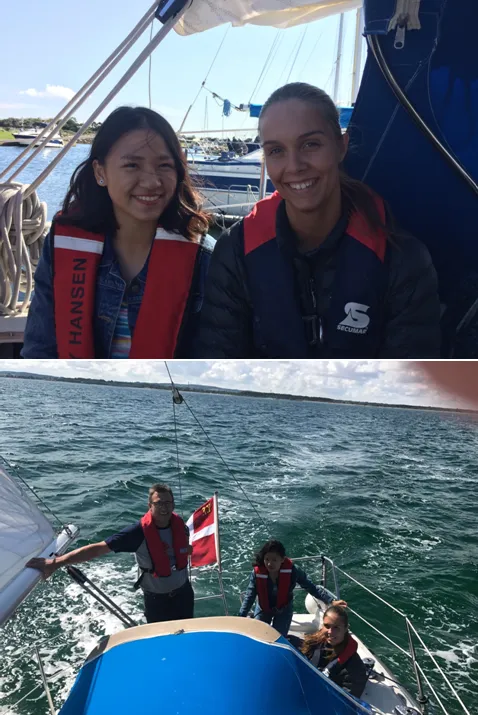 We sailed from Frederikshavn to Hirsholmene (the small island 6km from Frederikshavn to the north) . It’s very exciting and I was very excited. It’s not that hard to control the boat but I’m a bit afraid to do because I’ve never done it before. But it is very fun and I’m really lucky that I’ve never been sea sick. Then we arrived at Hirsholmene so we sailed back to Frederikshavn. The wind make me feel freezing so after we arrived at the harbour, we just relax and eat. We also went to Løkken, a small sea town in the west coast of North of Jutland. We went to the beach and see a lot of beautiful fishing house that stay all the way beside the beach. The sand is very soft. And we went to Rubjerg Knude Lighthouse, the lighthouse is on the top of Lønstrup Klint (cliff), 60 metres (200 ft) above sea level. Until 1908 it operated on gas which it produced from a gasworks on the site. Both shifting sands and coastal erosion are a serious problem in the area. My host dad and me went up in to the top of the light house and it was very scary because of the slope stair. But it’s worth to see a spectacular view. In 3 months, I have done a lot of activities. In Halloween, I also made the pumpkin crafting. And now it’s time for Christmas!!! All town are full with the Christmas light. 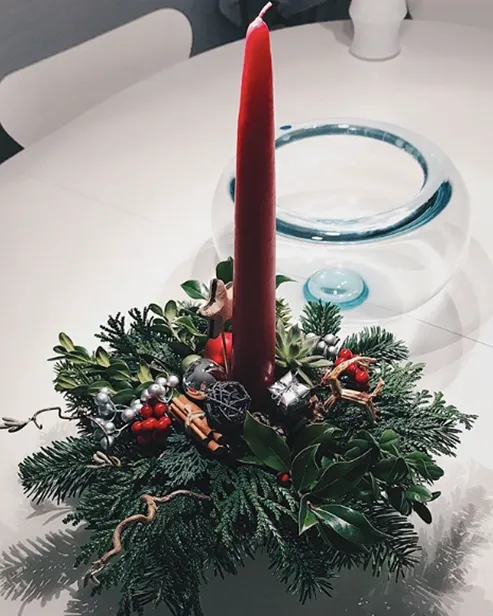 My house start decoration, everything feels Christmas and it’s the most wonderful time of the year. I’m really looking forward to this Christmas because we’re not celebrate Christmas in Thailand. It’s going to be very nice! So I need to prepare sing Christmas song for dancing around Christmas tree. I’m also make ‘Juledekorationer’ and it’s going well with my first time. 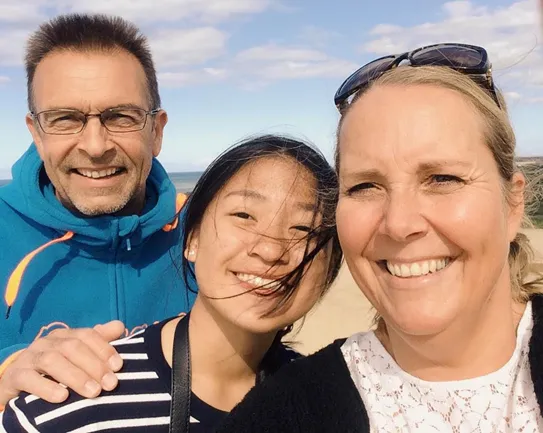 Du og din familie har også mulighed for at blive værtsfamilie for en udvekslingsstudent. Læs mere om det lige her. Hvad har Alejandro fundet i Danmark?